Now we’re well and truly into 2014, the iPhone 6 rumor stew is steadily transforming from a gentle simmer into a rolling boil with all sorts of ideas, suggestions, rumors and purported leaks landing up in the pot ahead of the device’s expected launch later in the year. 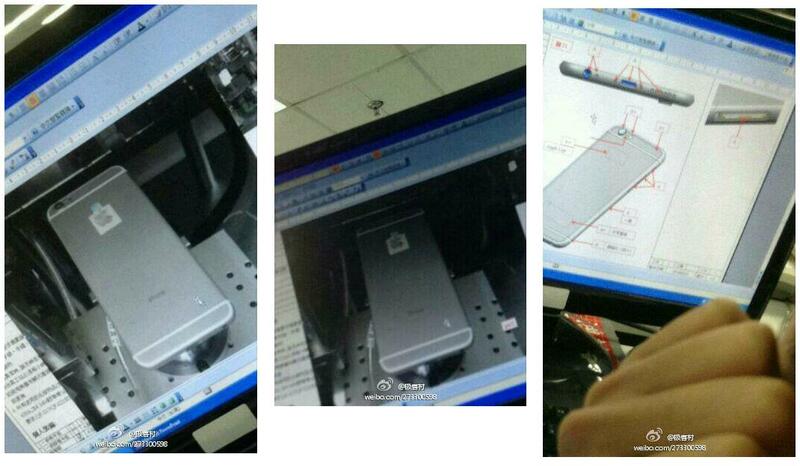 The latest ingredient comes in the form of three photos reportedly showing the next iteration of Apple’s handset undergoing tests at a Foxconn production facility. The images (below) were posted on Weibo on Monday, though as usual with this kind of ‘leaked’ and conveniently blurry material, there’s no sure way of establishing whether it is what it says it is. If it is the real deal, then notable is the phone’s slim form factor, with the camera protruding ever so slightly from the device’s body in the same way that it does with the latest iPod Touch. It’s not the first time we’ve heard about the idea of a thinner iPhone – Korean news outlet ETNews, for example, said recently the next iteration of Apple’s smartphone could see its thickness reduced by 1.6mm, taking it to 6mm. Reports of a slimmer next-gen Apple handset have led some observers to suggest the device could be called the iPhone Air. Most rumors and leaks in recent months suggest what everyone’s pretty much expecting – a large-screen iPhone. While the stretched 4-inch display introduced with the iPhone 5 has served the device well, it seems Apple is set to follow the industry trend of large-screen handsets. A 4.7-inch model is said to be in the works, though others suggest the next iPhone could launch with a screen as large as 5.7 inches. Of course, it’s entirely possible the tech company could offer both choices come launch day. To find out more about what Apple might have up its sleeve with the iPhone 6 (or Air? ), take a moment to check out DT’s dedicated page covering everything from solar-charging screens to curved displays to new cameras to its next-generation mobile operating system.